Multitasking can make a person more productive in almost every aspect of their life, with one notable exception: driving. From texting (even with Siri) to answering emotional phone calls, eating behind the wheel or simply lost in thought, distracted driving is a risky habit. Combine dangerous driving habits with congested roads and some of America’s busiest highways are now lethal. One recent study named ten highways the most dangerous in the nation. Conducted by EverQuote, an online car insurance marketplace, the study analyzed raw data from the National Highway Traffic Safety Administration’s (NHTSA) Fatality Analysis Report System between 2012 and 2015. For an added layer, they also compared data from Everdrive, a safe-driving app that tracks users’ driving habits. At the time of the study, Everdrive had information on 6 million trips with 80 million miles of driving. Almost 30 percent of drivers using the app were distracted-using their phone- while driving 56 mph or faster. Eleven percent were distracted for at least one minute straight. And while a minute may seem short compared to varying lengths of daily commutes or road trips, it’s potentially a life-changing, or ending, amount of time. The average person has their eyes locked on their phone screen for five seconds while texting. When moving at 55 mph, five seconds is equivalent to driving the length of a football field- blindfolded. So where should you be extra sure to take the blindfold off? Eight of the ten most lethal highways are in – completely or partially- just three states: Florida, Arizona and Texas. You could argue this as coincidence- all listed interstates are among the busiest in America. However, the same three states are some of the most laissez faire in regards to distracted driving legislation. Arizona has no statewide ban on texting and driving or cell phone use in general, with the exception of school bus drivers. Texas, though not for lack of trying to pass a law, also has no statewide ban; however, at least 65 cities have local laws against texting and driving or using handheld devices while driving. Unique to Texas, drivers under 18 statewide are banned from being on the phone while driving. Slightly differing from the pack, it is illegal to text and drive (it’s legal to talk on the phone) across all of Florida- but there’s a big, well, but. 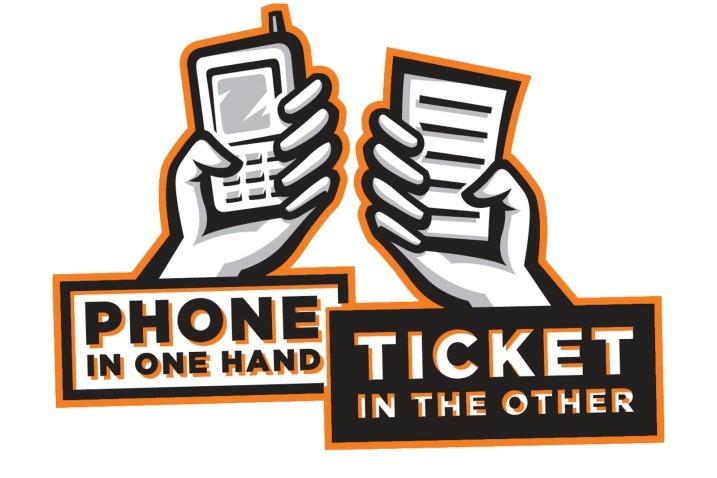 It’s only a secondary violation meaning drivers can’t be pulled over just because a cop sees them texting- they must be first caught violating a separate traffic law, like speeding. An insurance agency filmed rush hour traffic on the I-95 in South Florida, No. 5 on the most dangerous list. After 20 minutes, they found 185 distracted drivers out of 2,151 cars- almost nine percent over one tiny stretch of the lethal highway real estate. Talking on the phone was the number one distraction with 150 people, followed by 17 drivers texting, 12 eating and 6 classified as other. As a reminder, only 17 people actually broke the law- it’s not illegal to talk on the phone while driving in Florida. While Florida drivers used to occasionally see drivers eating or putting makeup on, today it’s routine to see the driver one lane over using their smartphone. Distracted driving- in many forms- is at an all time high. Statistics back his statement up, as Florida suffered the nation’s largest increase in accident fatalities last year. In 2015, distracted drivers caused more than 45,000 accidents, injured more than 39,000 people and killed 214 in Florida alone. And these numbers are likely low, according to Florida Highway Patrol Spokesperson Kim Montes. Also in 2015, Texas’s distracted drivers caused just under 106,000 accidents, more than 65,000 injuries and 476 deaths. Unfortunately, Arizona’s numbers are not tracked as precisely. Every day across America, at least eight people are killed and more than 1,000 injured in a distracted driver accident, according to the CDC. By now, most people understand the risks of distracted driving. So why is it still a rising trend? Similarly, you could ask why drugged or drunk driving is also still a problem, despite decades of warnings and technological improvements like rideshare apps. Now, government agencies are tapping into the electronic industry for help. The NHTSA rolled out their second phase of recommended guidelines for mobile device manufacturers in hopes of reducing distracted driving on November 23. They’re encouraging mobile developers to develop products with built in Driver Mode and/or a pairing system where phones sync up with the car’s infotainment system, reducing the potential for phone distraction. The first phase, from April 2013, focused on building in-car devices or systems at the time of manufacturing. For real change, however, everyday drivers must decide to put down their phones and minimize distractions. For driving, the cliché is true: no one think it’ll happen to them…until it does. As a final word of caution. For new and old drivers alike, remember that car accidents can occur at any time, on any day. It’s unfortunately impossible to predict the timing or severity of a crash. If there was, who would wish that type of devastation on anyone? Very true! No one thinks of the worst case scenario. They always think the problems are for someone else to contend with – not them. Real change will only happen when the vast majority of people stop thinking it’s okay to use their phones as they drive.